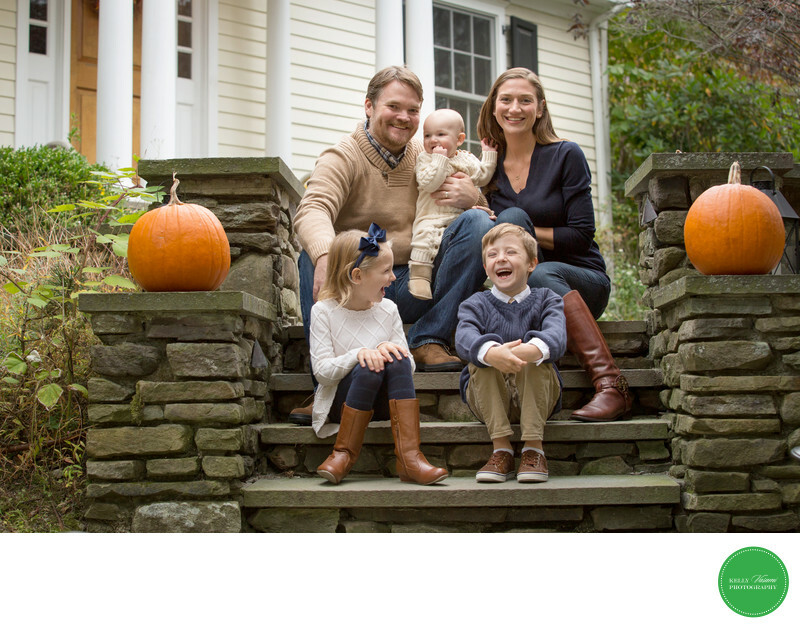 Pumpkins and brown boots are two small fun parts of this autumn family portrait. Mom, dad and their three adorable children are sitting on their front lawn, doing what families should do - smiling and enjoying each other. The older boys' expression is particularly captivating, as his sister laughs along with him.